12 Best "Airline Miles" Credit Cards (2019) - Travel Free, Any Airline! 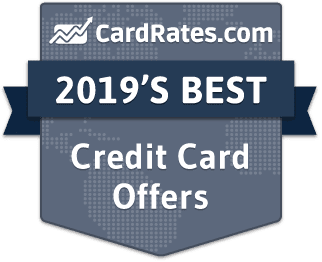 Below are 2019's top credit cards for airline miles and travel rewards. These offers feature free airmiles, frequent flyer perks, bonus flight miles, and other great mileage and travel rewards. Our reviews follow strict editorial guidelines and are updated regularly. Can't decide which is the best airline credit card for miles and points? The following summary breaks down all the top air miles cards for frequent flyers, along with each card's mileage features and introductory rates. Click on a card name to visit the issuer's official site and online application. Whether you love to explore new cities across the country or experience different cultures internationally, traveling is expensive. Even if you score affordable accommodations and cheap airfare, other expenses can add up fast and bust your budget. Luckily, you can stretch your travel dollars further using the right rewards credit card. When used wisely, an airline miles credit card can help you earn free airfare and land deals on car rentals, hotels, and other travel essentials. 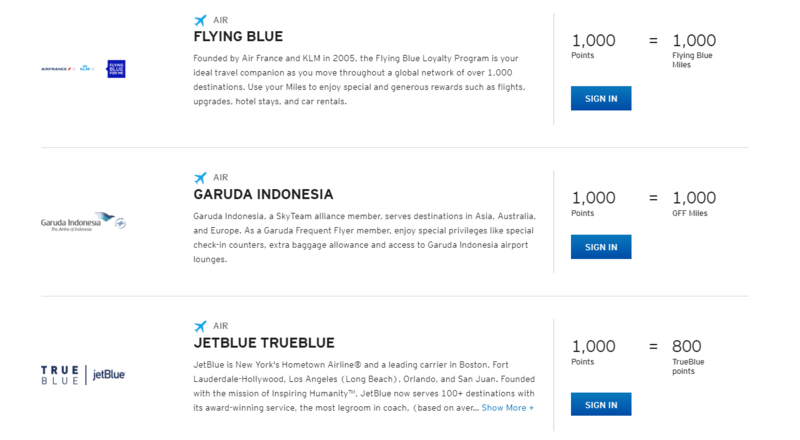 And there are options for both airline loyalists and flexible flyers alike. 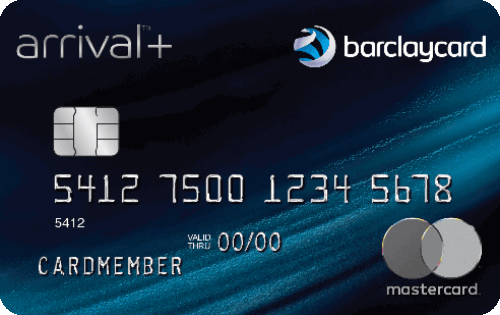 Co-branded airline credit cards allow you to directly earn frequent flyer miles for credit card purchases, with some offering bonus miles for category purchases. For more versatility, many rewards points programs allow points to be turned into frequent flyer miles with multiple partner airlines. To earn even more miles, you can take advantage of a special deals through both types of cards, including through partner programs and lucrative signup bonuses. Always make sure your purchases fit your budget, however, as no extra miles are worth expensive interest fees. 1. Who Should Use an Airline Miles Credit Card? Whether you only fly once a year or your work sends you around the world weekly, all types of travelers can benefit from an airline miles credit card. These cards allow you to earn rewards on everyday purchases, so no matter how you spend, you can be working toward free travel. Many airline-branded credit cards also provide additional perks such as seat upgrades and early boarding when you fly with that specific airline, making the overall travel experience more enjoyable. 2. What is a Co-Branded Airline Credit Card? 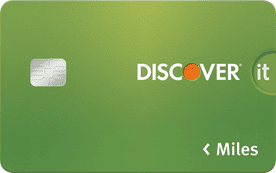 Many times you will hear an airline credit card referred to as a co-branded credit card. A co-branded credit card is sponsored by an airline in partnership with a bank or credit card brand such as Visa or MasterCard. The airline provides miles or travel points for purchases made using the card, as well as discounts or additional benefits when flying with that airline. Co-branded cards allow cardholder to redeem travel points for free flights and other rewards from affiliated brands for travel necessities such as hotel stays, car rentals, and more. 3. How Do You Earn Airline Miles? With an airline credit card, you earn miles for each dollar you spend in your monthly billing cycle. In addition, many airlines offer a significant number of miles as a signup bonus when you spend a certain amount within the first few months of opening the card. In some cases, these bonuses are enough for a free flight right off the bat. Because using an airline credit card allows you to accumulate miles on everyday purchases like groceries, gas, and clothes, you don’t have to be a frequent flyer to earn free flights. Most commonly, each dollar you spend earns you one mile. However, you often earn more miles per dollar when buying airfare on the same airline as the one who sponsors your credit card. Some cards also provide bonus miles for the money you spend at certain retailers, restaurants, hotels or car rental companies. Check your account online to learn more about additional reward options. Some may require you to opt-in before you can start earning the benefits and since such bonus reward categories can change periodically or every quarter, it’s important to check back frequently to see what options are available. Many times you can even earn bonus miles by shopping through the credit card’s online portal, in addition to receiving exclusive cardholder discounts. 4. How Do You Redeem Airline Miles? The process for redeeming miles is pretty basic. Typically, you redeem miles through the airline’s website, logging in with a rewards number associated with your credit card account. From there you have the option to search flights, showing you the price in both dollars and miles. The number of miles required for a flight depends on many factors including distance, number of stops, and overall availability. Keep in mind, your rewards points typically only apply to the airfare, so you may have to pay a small amount for taxes and fees. Redeeming your miles for other travel benefits like hotels and rental cars is commonly done through your online credit card account. Most cards have a portal that allows you to explore available options and see the number of miles needed. In some cases, a credit card may provide a statement credit toward travel purchases in exchange for miles as well. 5. Are All Travel Miles the Same as Frequent Flyer Miles? There is an important distinction between travel miles earned with a credit card and frequent flyer miles accrued through a specific airline. Frequent flyer miles are earned based on the distance you have flown on that particular airline. Travel miles differ in that they can be earned on just about any purchase you make with your airline credit card. Thus, allowing everyday travelers to earn free flights faster. Travel miles also provide more redemption options to reduce your overall travel expenses. In addition to airline credit cards, there are other types of co-branded credit cards from companies such as Hilton Hotels or Hertz rental cars that allow you to earn points to meet your specific travel needs. 6. What Are the Benefits of Using Airline Miles Credit Cards? The biggest benefit of using an airline miles credit card is that you can travel more at a lower cost. By using one of these cards for everyday expenses, you’re always working toward free travel, even if you’re staying put at home. If you’re able to subtract the cost of airfare from your travel budget, that savings can be used to treat yourself on the trip or explore more destinations around the globe. Earning airline miles allows users to fly almost anywhere using just miles. For example, American Airlines AAdvantage miles can be used to book a flight from Orlando to Boston for just 12,500 miles. Another major benefit of airline miles credit cards are the additional perks that can make flying on your favorite airline that much more comfortable. Whether you want to secure some extra legroom with a seat upgrade or ensure first crack at the overhead bins with early boarding, you have more options available as an airline cardholder. 7. What Are the Drawbacks of Using Airline Miles Credit Cards? Though airline credit cards come with a number of nice benefits, there are some drawbacks to be aware of. Because your card is tied to a specific airline, you’re limited by their flight times and destinations. If they don’t fly where you want to go, you’ll have to look to other carriers. However, some airlines are part of a worldwide airline alliance letting you use miles to book with another airline within their network. When trying to determine which airline credit card is right for you, it’s also important to pay attention to the financial details. 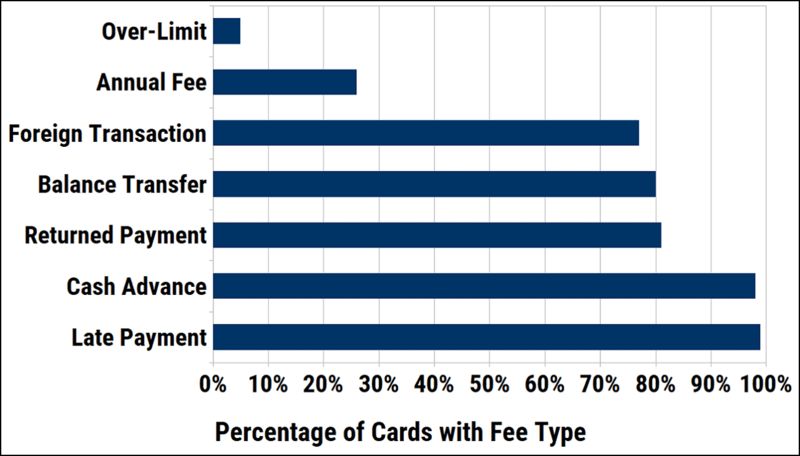 Certain cards that offer more significant rewards can come with pricey annual fees and high interest rates. If your travel isn’t enough to outweigh the yearly cost of being a cardholder, you should look at other card options. 8. How Do You Compare Travel Rewards Cards? To find the travel rewards card that’s right for you, first think about what type of travel you would benefit the most from. Find your favorite airline or hotel chain and evaluate the different options they offer. As you compare, pay attention to details such as the annual fee, annual percentage rate (APR) and how many miles you earn per dollar spent. 9. Can You Find Travel Rewards Cards with No Annual Fee? There are a number of travel rewards cards available with no annual fee. If you’re an infrequent traveler, this is the way to go. Cards with annual fees may allow you to earn slightly more rewards, but the annual fee erases a lot of the savings if you’re only flying once or twice each year. If you do wind up with an annual fee credit card, you can often call the company and ask them to waive the charge. Though this isn’t a guarantee, they’d generally rather keep you as a cardholder than collect the cash. 10. What Are Foreign Transaction Fees & How Do You Avoid Them? Another important consideration when picking a travel rewards credit card is the foreign transaction fee policy. This fee is a small percentage of each purchase you make outside of the U.S. charged by the bank or credit card company. If you’re a frequent international traveler, finding a card with no foreign transaction fees is critical. While the small fees may seem insignificant at first, they can add up quickly. Thankfully, most of the best travel credit cards come without foreign transaction fees. Check your card’s terms and conditions to see if your credit card charges foreign transaction fees. 11. How Do You Maximize Your Airline Miles? To maximize your airline miles, carefully consider your spending habits. If you know you’re responsible with debt and will pay off your entire balance without fail each month, put every expense you can on the card. Carrying a balance and paying interest only cuts into the benefits of the rewards. Also, examine if your card allows you to earn bonus miles through other avenues like dining at certain restaurants, shopping at specific retailers or utilizing the credit card’s online shopping portal. Though your airline miles certainly help save money, treat the travel process like you’re still searching for the best deal. Monitor the price of flights online and book in advance to make sure you get the seats you want without having to eat up extra miles paying a premium fare. 12. How Do You Earn a Sign-up Bonus with an Airlines Miles Credit Card? The value of a sign-up bonus can make or break a great airline miles credit card. In many cases, the initial offer of miles is enough to immediately earn you a free flight. However, it’s critical to examine the fine print. While some cards give you the bonus miles just for opening an account, other cards require you first spend several thousand dollars within a few short months before you are eligible to earn the sign-up bonus. If you have to live beyond your means just to meet the spending requirement, the card isn’t worth it. On the flipside, if you know you’ll be making a series of big purchases for say a home improvement project or wedding, it’s a good time to look into a new rewards card with a significant sign-up bonus even if it comes with a spending requirement. 13. Can You Transfer Credit Card Miles to Frequent Flyer Programs? If you have an airline credit card and are also a member of that airline’s frequent flyer program, many times your miles and points are intertwined. Each airline structures their redemption programs differently, with some airlines requiring more miles than others for a free flight. If you have generic transferable miles or points, you can turn them into frequent flyer miles with the bank’s partner hotels, like these Citi ThankYou® Point program partners. If your goal is to transfer your rewards points for frequent flyer points on multiple airlines, you will likely be better off with a more generic travel card that allows you to use your rewards toward all types of travel costs. 14. Can You Transfer Miles Between Airline Loyalty Programs? For the most part, miles aren’t interchangeable between major airlines. You would not be able to use your Southwest miles to book a flight on United. However, some domestic airlines have partnerships with other airlines around the globe that may allow you to book flights with your points. For example, American Airlines is partnered with British Airways and in some cases allows you to use your points to book on either airline. 15. Can Travel Rewards Credit Cards Be Used for Free Hotel Stays? If your goal is to save money on hotel accommodations over airfare, many of the major hotel chains such as Hilton, Hyatt, and Marriott offer their own co-branded rewards credit cards that will help you earn the most points. There are also a number of more generic travel cards that currently allows you to earn 10x the rewards points when you book at one of their hotel partners. If you’re still set on an airline credit card, not to worry — many airlines maintain partnerships that allow the exchange of points across their affiliates for significant discounts. Andrea Woroch is a nationally recognized consumer finance expert, writer, and TV personality who is passionate about helping families find simple ways to spend less and save more without making major sacrifices. Her practical budgeting and savings advice has helped millions of Americans initiate real financial change so they can stress less and spend more time doing the things they love. As a go-to media expert, Andrea has appeared on popular TV shows such as Today, Good Morning America, FOX & Friends, Dr. OZ, CNN, and MSNBC. Her work has been featured in The New York Times, USA Today, Forbes, Reader’s Digest, Cosmopolitan, Money, Time, Woman’s Day, Yahoo, among other outlets. Andrea hosts a monthly money segment on KTLA Morning News in Los Angeles.